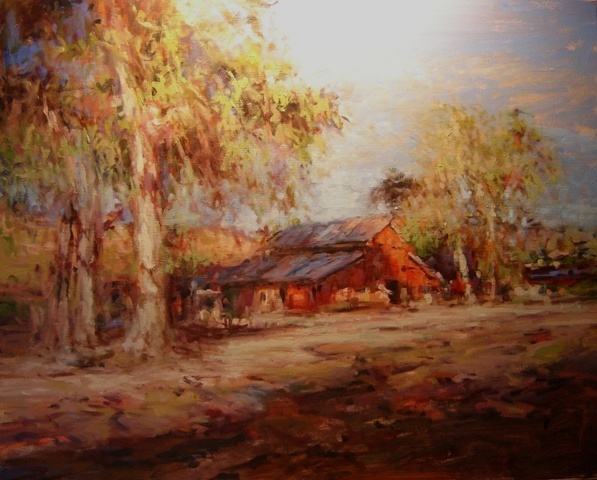 A red barn hiding in the shadow of a old shaggy eucalyptus tree on a warm summer morning in central California. Warm tones predominate the work, with a feel of spontaneity, especially in the tree foilage. Reds, golds and soft greens predominate.